The last couple years have been rough for Mainieri and Carstensen, as she was diagnosed with liver cancer, and Mainieri devoted much of his time to seeing her through surgery and treatment. In fact, with Carstensen becoming ill around the time of Northern Lights' release, Mainieri didn't have the time to promote it the way he'd have liked, and is considering reissuing itwhich would be a great idea. The best news is that Carstensen's health has improved significantly, and Mainieri has begun refocusing his energies back on music. In addition to working on the new American Diary project, he's released an album with Dutch guitarist Marnix Busstra and his trio, Twelve Pieces. Mainieri first met Busstra in the guitarist's more electric, fusion-centric band. "I overdubbed some tracks with this fusion band, and we did some gigs in the Netherlands," Mainieri says. "My agreement [for business reasons] with him was that I wouldn't play outside the Netherlands." While the fusion project wasn't a particularly happy fit for Mainieri, it did lead to something else. "I hadn't played in a quartet with a guitarist in years," Mainieri explains, "and Marnix fell in love with the American Diary record. He wanted me to do another tour with the group [after touring with the fusion group]. But I didn't want to; I wasn't having too much fun with that band musically. So he said, 'I'm gonna write some stuff like American Diary.' We did a couple tunes and it was fun. 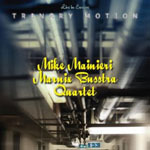 And when I appeared on the album, it was first released in Europe as Marnix Busstra Trio Featuring Mike Mainieri. He said, 'Do you think you could get any gigs in the US?' I said, 'No, honestly.' So he asked 'Do you think we could tour Europe?' I said I couldn't, because I'd piss off my European agent, but I said I'd put the record out here for him to get more exposure, but it'd be better to put our names together for him to get the exposure." 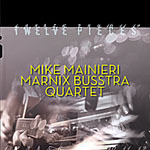 And so, the NYC Records edition of Twelve Pieces is credited to the Mike Mainieri/Marnix Busstra Quartet. The pairing of guitar and vibraphone has rarely sounded this good. As to whether or not the relationship will continue? "There are lots of excellent vibraphonists over there," Mainieri says. "So we'll see what happens. But Marnix is a really good guy. Twelve Pieces is a nice record and I was happy playing with him. I think there's a double live CD that he wants to get out. The label he was on wanted to record Twelve Pieces with one overhead mike, a stereo recordlike an audiophile labeland we couldn't hear each other. The studio was huge, built for chamber orchestra, and it was a like playing in a basketball court. But when we went on tour, we recorded it and I think he's going to release that plus some other pieces that were really happening." 2009 also saw the release of 2.0, the decades-overdue debut from L'Image. The group has since done some touring, and there's a live CD and DVD coming up in 2010, from the group's first tour in 2008. "It was fun playing with these guys again, and it was a pretty successful tour," Mainieri enthuses. "The first gig was a festival, which was kind of a disaster because they spread us out on a big stage and we couldn't hear each otherit was televised and, of course, probably put up on YouTube. But all the clubs we played at, it was fine, it was happening. It turned out to be a successful tour and we're playing the Iridium this week [fall, 2009], so that should be a blast." 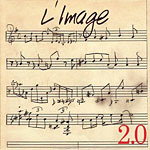 2.0 features a number of tunes played by L'Image back in the day, including the title track to Love Play. It's a treat to hear Spinozza featuredboth as a player and with three compositional contributionsas he's guitarist who's remained busy as a session player in the ensuing years, but has never received the credit he's due. It's also great to hear Gadd's finessed groove on tracks like Warren Bernhardt's opening, gospel-tinged "Praise," a tune that could easily have fit into the repertoire of Stuff, Gadd's groove-driven collective from the 1970s. Finally, it's a rare opportunity to hear Tony Levinwho, in the last couple decades, has been more associated with progressive and art rock artists like King Crimson and Peter Gabrielreturn to a jazz context. Once again, it's not about ability, it's about choice, as Levin easily winds his way through Maineri's more sophisticated changes on "Reunion" and the knotty but swinging "Gadd-Ddagit!" Mainieri has also been talking about a Steps box set, a possibly six-disc set of live performances, which would be welcome as well, since the last Steps release was 2002's Holding Together (NYC), featuring an acoustic incarnation of the group with saxophonist Bob Berg (who died tragically in a car accident in December of that year), Eliane Elias, Marc Johnson and Peter Erskine. He also has a set of duets in the can with saxophonist Charlie Mariano, who sadly passed away in 2009. 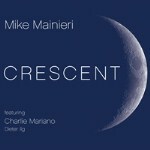 "That'll be my next release, along with a solo vibes recording," Mainieri says. "Charlie and I did a duo performance at an art gallery, maybe six years ago. I was on my way home and working my way through Cologne and Nice, and someone calls me and says, 'You've never played with Charlie!' And so there was this opportunity to play two or three concerts, and we had so much fun; it was pretty amazing. When I went back to record I really wanted to record with him as a duet. But when I got there, there was a drummer and bassist, and I said, 'OK that's fine.'" But the session didn't go off without a snag. "On my way to Cologne I was carrying my bars with me and I crushed my hand in a subway door on the way to the recording session," Mainieri says. So it was kind of a drag. I had to use a different grip when I did the album, and the album was a lot of Coltrane stuffmostly his ballads and standards. It's not your typical 'Trane album. Charlie'd been ill for quite a while, he was just about 80 or 81, and he was battling prostate cancer. But I went in, we did it in a day and it was all one or two takes. And there were some really nice moments. I I thought I should put the record out, and that's gonna be released. Charlie was a lovely man and a great player." So, nearing 72, Mainieri not only has a lot on the go, but he's continuing to expand his musical horizons and work in a wide range of musical contexts, ranging from the straight-ahead to the electro-centric. "I have a lot of stuff in the can and I have to do it while I'm still vertical," says Mainieri. Here's hoping he stays that way for a long time to come.